Agile is making great headway in the enterprise, but some common misconceptions persist -- and what’s worse is they are held by IT leaders. By now, CIOs should be aware of the benefits of the agile methodology. But a few persistent misconceptions get in the way of even greater outcomes. We asked our experts to name the most common misconception around agile - to tell us what CIOs just don't "get" about the framework. "I moderated a panel discussion at the Premier CIO Forum a few weeks ago, and one question that seemed to stump the panelists was, 'Tell me how you've adjusted your CapEx budget process to incorporate agile.' The audience was far from being able to develop their CapEx budgets to accommodate the way agile works," says John Doucette, vice president of consulting operations at custom software provider Magenic. An agile transformation that doesn't take every aspect of your organization into account isn't going to be very successful. 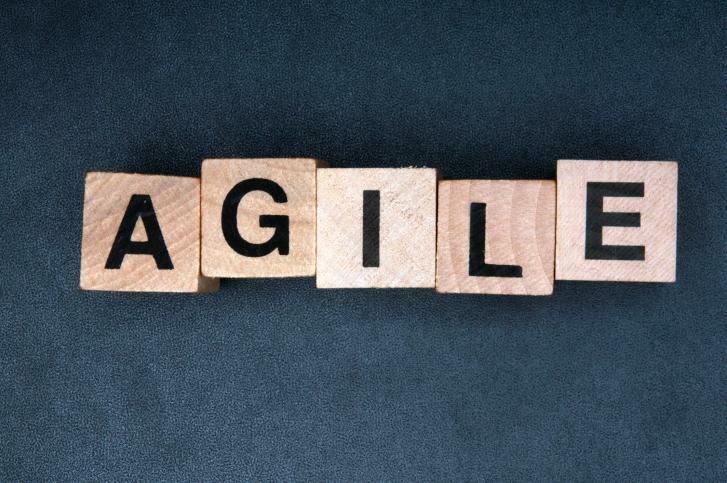 To really accelerate the entire software development lifecycle, an agile development approach needs to be driven by the capital budget, not the operating budget, to account for changing backlogs, says Doucette. "It's very difficult for CIOs to say, I need $25 million for my IT budget this year, and $15 million of that is backlog from application development. It's great that so many are trying to do agile, but I see a lot of struggles with product and with budgeting like this, because it's still being budgeted like a waterfall process. To really accelerate, they have to get into an agile approach, from the mainframe to legacy applications to current applications to new products," says Doucette. "I see it a lot - a CIO of a Fortune 500 company reads an article about scrum or agile, they think it's a great idea. Then, one of their IT managers is told, 'OK, great, go do this!' so they call us, hire one of our trainers or coaches and they try and lead this transformation. That's not agile. That's not scrum -- having the edict come down from on high. That's a knowledge gap and a resistance gap; they really don't understand the principles and the practices have to go all the way through an organizations," says Manny Gonzalez, CEO of Scrum Alliance. Part of that is driven by a lack of understanding about agile and scrum's importance at every level of an organization, and some is driven by fear of change and of becoming irrelevant, says Gonzalez. If a company moves to an agile mindset with self-organizing teams, greater team independence and a "flat" organizational structure, then do managers and executives become irrelevant? "At the management level, they are fearful of what this means for their role and their responsibilities. They start to think, sometimes consciously, sometimes subconsciously, 'Am I going to be out of a job? Am I making myself and my role irrelevant? The teams are managing themselves, but I don't know how to change my management style,'" Gonzalez says. This is an area where a coach, trainer or scrum master can be helpful in trying to address and quell that fear and uncertainty, according to Gonzalez. The organizations that have been more successful with agile and scrum are those that have managed and reduced fear and uncertainty within management ranks and worked hard to reimagine what role managers and executives have in the development process. "There's a misconception that agile and scrum is going to be simple … but it's not easy. The principles and the tenets of the agile manifesto are straightforward and easy to understand, but difficult to integrate. It has to be a complete mindset shift in the way an entire organization, from the bottom to top, from executives to the entry-level developers, approach their careers, their jobs and their roles," says Dave West, product owner, Scrum.org. It's more than just sending a few people to training, or getting a certification, or even hiring a coach or trainer to come in and drive transformation in the company, West says. It has to start with a shift in mindset away from traditional waterfall approaches and toward a completely different agile mindset of iteration and collaboration. "Just because someone comes back from training doesn't mean they're going to come back and instantly the whole organization is going to be more efficient and effective. It takes time to both really understand the tenets of agile and scrum, to apply them in the organization, and to grow the practice holistically. Eventually, you'll get there, but holistically, it's going to take a while," West says.